Discover Wales – The Great Canadian Travel Co.
Wales is an intriguing place. Somehow this small country has more castles per square mile than anywhere else in Europe. Amazingly, 20% of the country is protected by national parks. And strangely, their national animal is a mythical dragon! What’s more is it’s packed full of delightful coastal villages, incredible Roman ruins, and stunningly white beaches. But best of all is the warm welcome you’ll experience when you travel through this wonderful country! You leave London and travel west to the rolling hills of the Cotswolds. 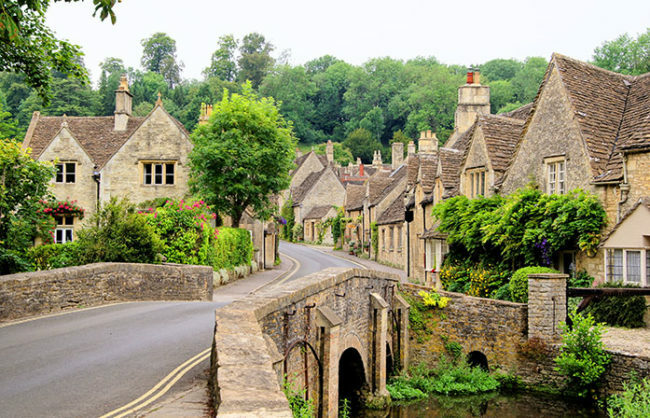 This area of outstanding beauty boasts England’s prettiest and cutest historic villages. Your friendly driver-guide ensures you get the best photos and hear the most fascinating local tales. You travel west through the Welsh Marches and the borderlands between England and Wales; marked out by the ancient Offa’s Dyke. The route then leads into the heart of the Cambrian Mountains and beautiful Elan Valley. Leaving here in the late afternoon, it’s just an hour or so to the beautiful seaside town and cultural centre of Aberystwyth, where you spend the next two nights. Travel north into the spectacularly mountainous region of the Snowdonia National Park. You visit the beautiful mountain village of Beddgelert, where you can see the famous grave of ‘Gelert’, the legendary dog, or explore the nearby copper mine. From here, it’s a short ride to the town of Machynlleth. This scenic little place is a treasure trove of history. You can gaze up at the ancient clock tower, marvel at the quaint houses, and go antique hunting. 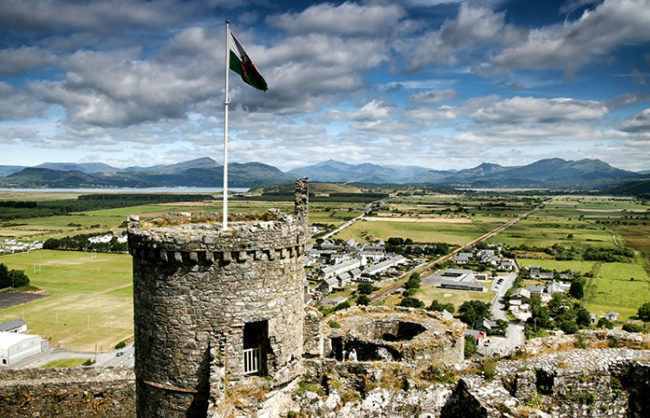 You travel on to Porthmadog and over the Cob causeway before reaching Harlech Castle. This mighty medieval castle sits high on a hill, and looks perfectly impenetrable. After a fulfilling day you return to Aberystwyth in late afternoon. A sumptuous sandy harbour, whitewashed houses, and connections to Dylan thomas: this town is one of the most picturesque and interesting little towns in Britain. What’s more, is from the breakwater wall you may be lucky enough to spot dolphins and whales. Turning inland, you head into the foreboding Black Mountains. You may get the chance to explore a mysterious bedrock cave under a castle before you head for the coast, and visit Laugharne, where Dylan Thomas wrote the famous play “Under Milk Wood”. 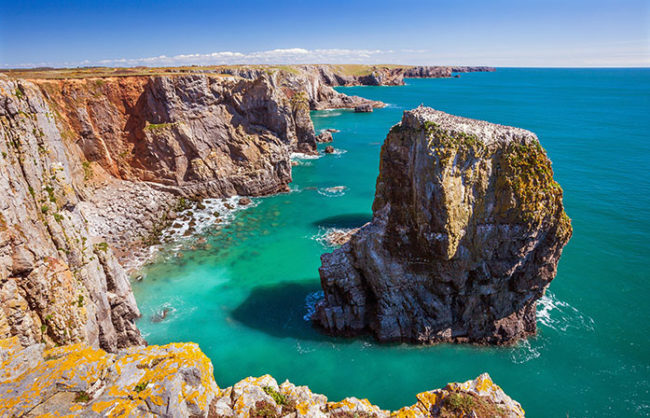 From here it’s a short distance to Tenby, the small, charming seaside town that’ll be your base for two nights. 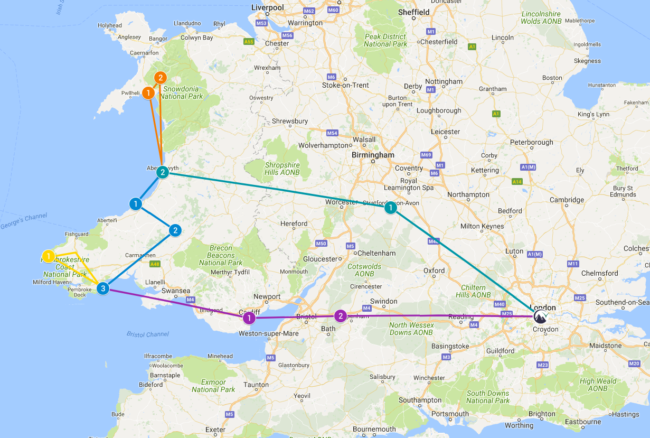 You travel past the big industrial cities of South Wales to the outskirts of Cardiff, for a visit to the outdoor National History Museum (an optional drop-off for anyone wanting to end the tour in Cardiff is available). After a journey through the Cardiff Bay area, head 2000 years back in time with a stop at the remarkably well preserved Roman Fortress at Caerleon. From here, it’s time to say goodbye to Wales. You take the Severn Bridge back into England, where you have one final break at Castle Combe. 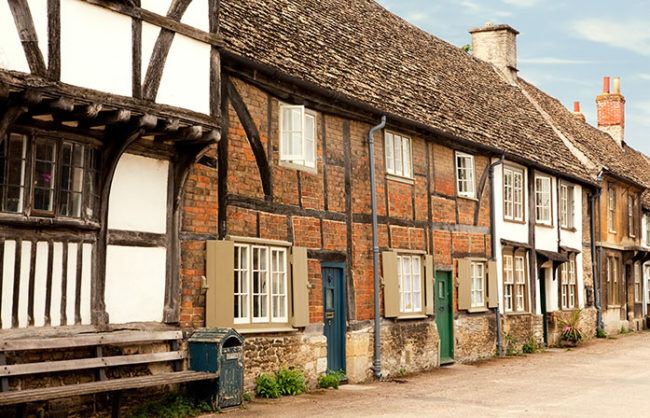 This gorgeous Cotswold village perfect for a relaxed stroll amongst 16th century ironstone cottages. From here you will head back to central London. Harlech Castle – Discover what UNESCO describes as one of “the finest examples of late 13th century military architecture in Europe”.